Another boat capsized in Lake Toba, North Sumatra in Indonesia on Friday evening with authorities confirming that one person is missing. The accident took place after the engine of passenger boat KM Ramos Risma Marisi broke down while sailing to Naiggolan Port in Samosir regency. The wooden boat was carrying five passengers when technical problems with its engine occurred at 9 p.m. local time, after dropping off several passengers at Sibandang Island. Passenger Rahmat Dani was still missing. The other four passengers survived the incident. The Medan Search and Rescue Agency (SAR) team would continue to search for the missing passenger on Saturday. 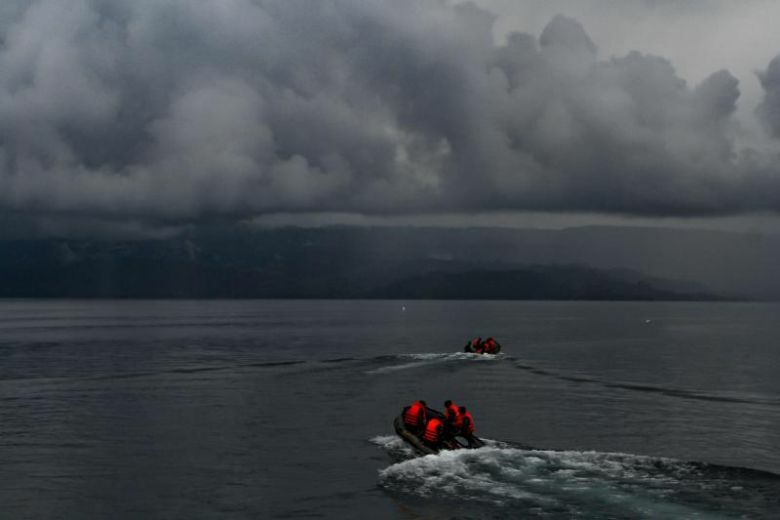 The search and rescue operation on Friday had to be suspended due to bad weather. The rescue team pulled the capsized boat to Nainggolan Beach. Just recently, KM Sinar Bangun suspected of overcrowding and overloading, carrying roughly more than 200 passengers and 60 vehicles sunk on its way to Tigaras Port on June 18. 18 people survived the tragedy, but three people died. 192 passengers remain missing. The search and rescue operations continue. Sea disasters are common in Indonesia where enforcement of safety regulations remain weak.